New Gonzaga women’s basketball coach Lisa Fortier said she knows who is going to be her point guards but she’s not completely sure who will start on Sunday in the Bulldogs’ first game against No. 22 Dayton. It also may not matter as Fortier said junior transfer Georgia Stirton (North Idaho College) will likely split minutes with freshman guard Emma Stach, of Buchholz, Germany. Each guard brings something different to the table. Stirton handles the ball very well and runs the offense at her own speed. Otherwise, Fortier gushed over the play of her post players and had good things to say about 6-foot-5 redshirt freshman Emma Wolfram. She sat out last year as the Zags finished 25-9, won the West Coast Conference championship and lost to James Madison in the first round of the NCAA Tournament. Stirton, a 5-8 guard originally from Melbourne, Australia, said she’s looking forward to the first game against Dayton, which finished 23-8 last year and lost in the first round of the NCAA tournament to Florida. Before Dayton takes on the Zags, the Flyers first play Friday at 7 p.m. in Pullman against Washington State. Coach June Daugherty said she can’t wait for the early season challenge in Friel Court. She said he high-power scoring duo of junior Lia Galdeira and senior Tia Presley (Gonzaga Prep) gives her team the potential for a “special season” after the Cougars (17-17, 9-9 in Pac-12 last year) played in the postseason for the first time in 23 years. “They love to win. They both have this unique ability to focus in on game day,” she said of her all-league guards. Daugherty said the team had a special focus during the spring and summer to address the mental aspects of the game after the team showed it could beat any team and turn around and lose to an inferior opponent. Eastern Washington women’s basketball also opens Friday at 3:30 p.m. when it travels to Orem, Utah to take on Utah Valley. 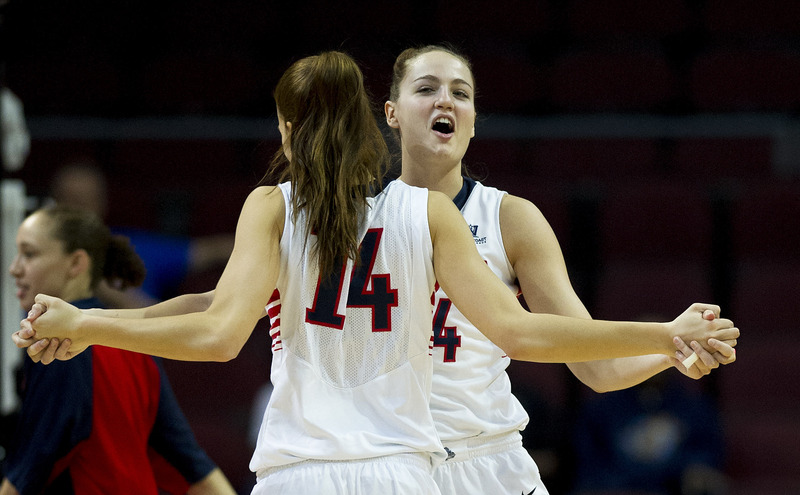 Eastern returns four starters, including All-Big Sky guard and top scorer Lexie Nelson. The Eagles started slowly last year before finding their stride in conference play. Eastern finished with an overall record of 16-14 and 12-8 in the Big Sky. The Wolverines return three starters on a team that finished 7-23 last year. Idaho plays first Friday among the area Division I women’s basketball teams when it tips off at 2 p.m. at Cal State Northridge. The Vandals return four of five starters on a team that went 25-9, won the Western Athletic Conference and earned its second consecutive bid to the NCAA Tournament where it got beat 88-42 by Louisville. The Vandals now are playing in the Big Sky and have been picked to finish third by the conference coaches. Idaho returns leading scorer Stacey Barr, who averaged 18.2 points and 7.7 rebounds a game. Published: Nov. 13, 2014, 4:49 p.m.